Composed by Pauline Hall. Piano Time. 32 pages. Oxford University Press #9780193727335. Published by Oxford University Press (OU.9780193727335). ISBN 9780193727335. 12 x 9 inches. 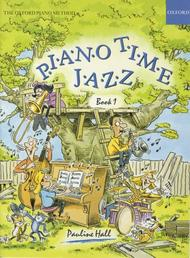 The book includes 29 pieces in a range of jazz and light-hearted styles, supported by witty illustrations. 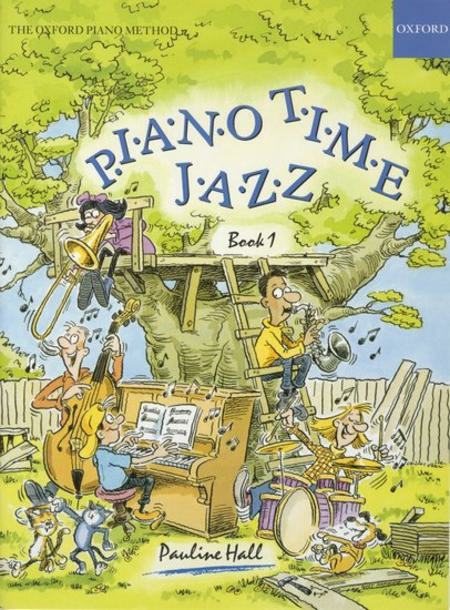 It begins with wonderfully simple repertoire that succeeds in being both truly jazzy and very easy.Piano Time Jazz Book 1 is around the level of Piano Time 2. I love SnowBall Rag and Creepy Crawly. Excellent supplementary pieces and good quick study material for slightly more advanced students. Some fun exam pieces too! My young students' favourite is "Creepy Crawly". A lot of songs for the price, but they weren't very fun or imaginative for my students. Only a few songs I would use, luckily these were on the list of examinable pieces. Delivery time was longer than stated.